Ozone 4, Other effects bundle or multi-effect from iZotope in the Ozone series. 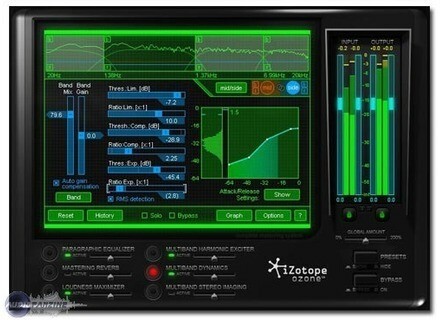 iZotope recently learned that under certain circumstances, installing an iZotope product or demo and then applying any Mac OS X 10.6 update can cause some computers to experience problems booting. They have identified the cause of this issue and provided a simple fix below. You can download and install this patch even if you have not experienced any issues at this time. You can delete and re-download the latest iZotope installers for Mac OS X. Note that as of today (May 7, 2010), all of the Mac OS X installers on the iZotope website have been updated so that they no longer cause this issue to occur. If you suspect your computer has already been affected by this issue and you are unable to boot your computer, you can follow the steps to fix in the iZotope Knowledge Base. LinPlug Element P - and other updates LinPlug has announced the re-release of Element P for Windows - now updated to v1.1.